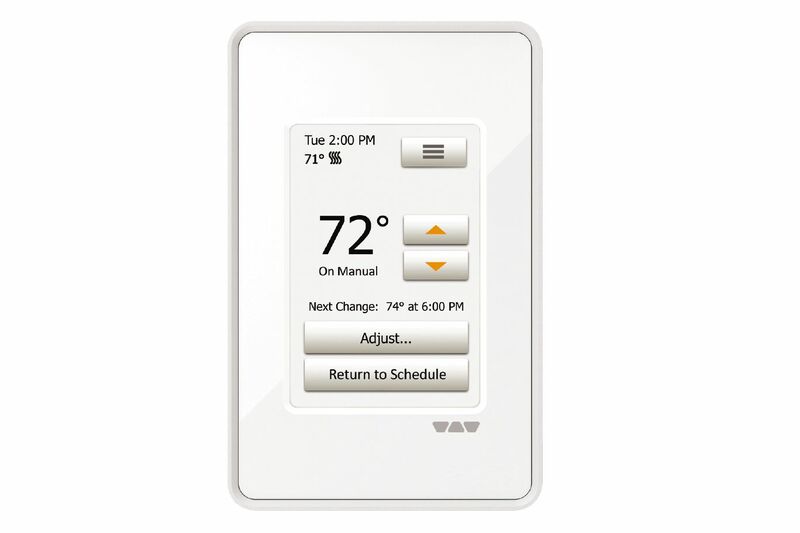 Schluter®-DITRA-HEAT-E-RT is a programmable touchscreen thermostat used to control DITRA-HEAT-E-HK heating cables. Please refer to the Interactive User Guide and Schluter®-DITRA-HEAT Installation Handbook for complete DITRA-HEAT system installation instructions. 1. 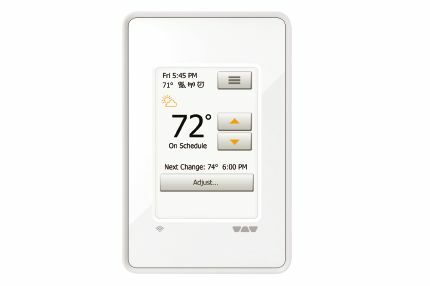 DITRA-HEAT-E-RT must be installed in an electrical box. A single gang, deep electrical box or a double gang electrical box with a single gang mud ring is recommended to provide room for the wiring. 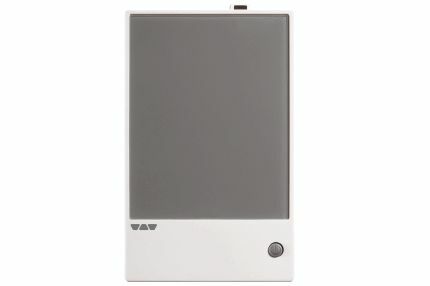 Note: Two DITRA-HEAT-E-HK heating cables can be connected and controlled by a single DITRA-HEAT-E-RT thermostat if the total current is less than 15 amps. 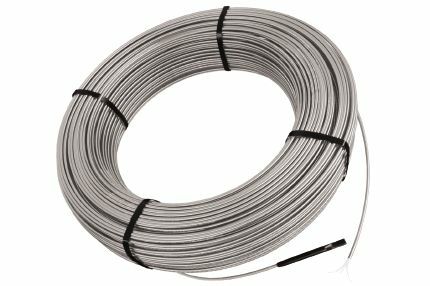 The heating cable leads must be wired in parallel according to applicable electrical and building codes. Multiple DITRA-HEAT-E-HK heating cables over 15 amps cannot be connected to a single DITRA-HEAT-E-RT thermostat. 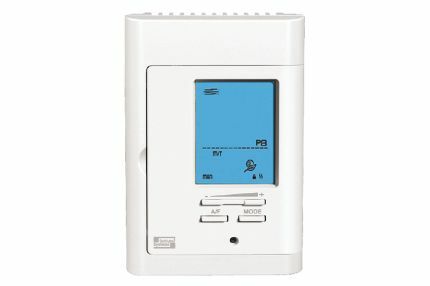 Additional DITRA-HEAT-E-RT thermostats must be used or the DITRA-HEAT-E-RT thermostat may be combined with the DITRA-HEAT-E-RR power modules.